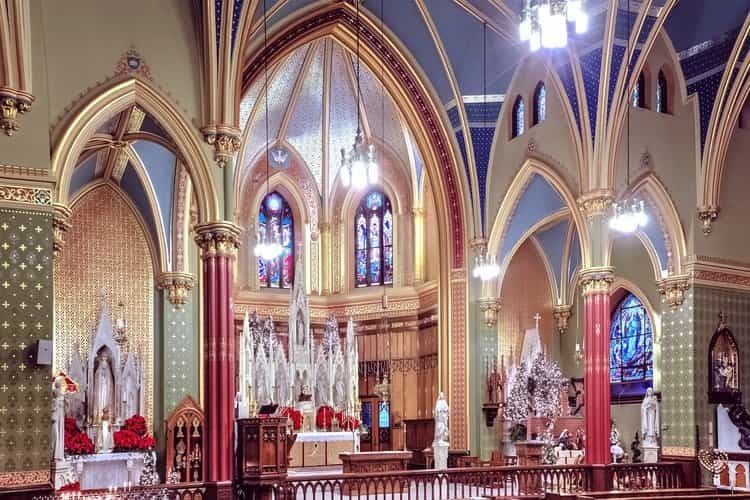 Basilica of Saint John the Evangelist | John Canning & Co.
John Canning Co. provided historic restoration and conservation of ornamental plaster and decorative painting, new murals, and complimentary design that reflects the Catholic liturgy, and honors Saint John. 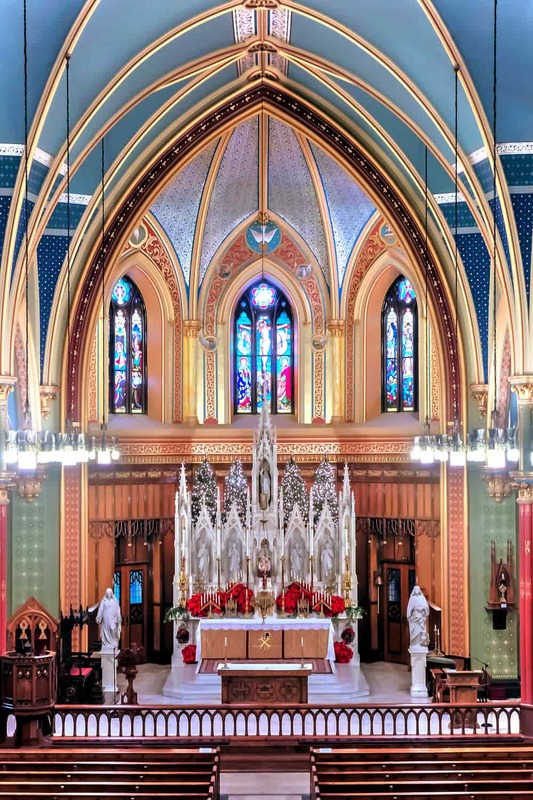 The parish community engaged us to restore the interior to its original design where it could be defined and to create new decoration and fine-art murals consistent with the original design intent in areas where our historical research and paint study were inconclusive. Our knowledge of Catholic mass, symbolism, and rituals of worship informed the new design and murals that were executed by our skilled artisans using traditional church decoration methods and materials. The result is a harmonious design scheme applied to a sound plaster substrate that blends Catholic symbolism and iconography, liturgical references, and images in celebration of St. John the Evangelist.